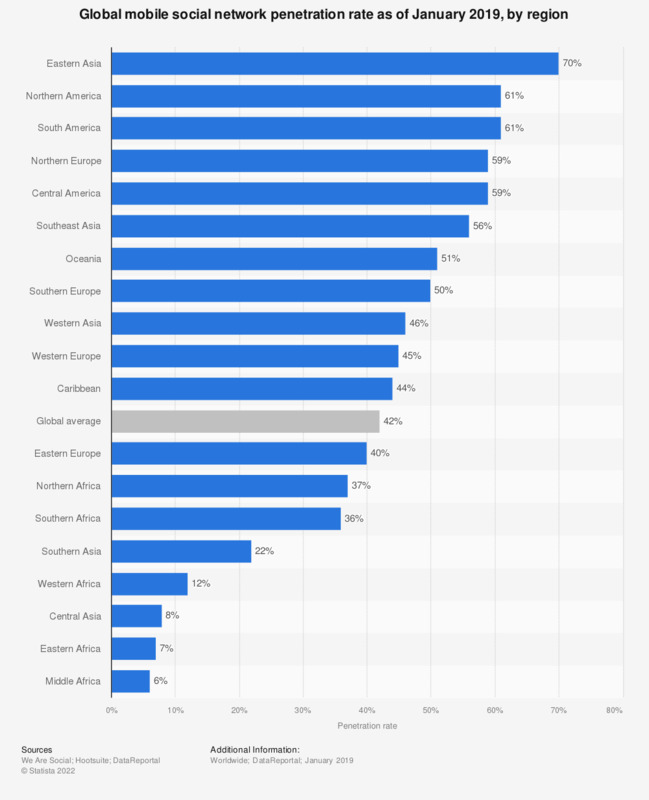 This statistic shows the mobile social network penetration rate worldwide as of January 2019, by region. As of that period, East Asia was ranked first with mobile social media penetration rate of 70 percent, followed by North America with 61 percent. The global mobile social penetration rate was 42 percent. Based on active users of the largest active social network in each country accessing via mobile, compared to population.